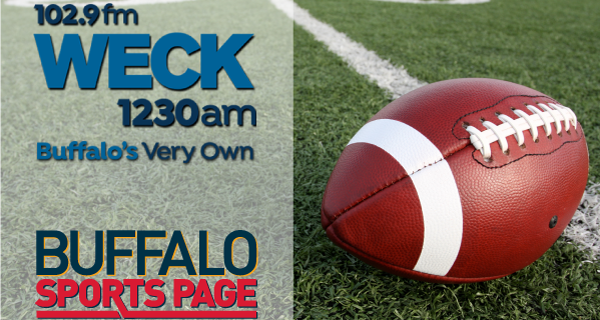 Buffalo Sports Page Radio debuts Saturday, August 5 on WECK 1230 AM/102.9 FM Radio in Buffalo, from 10am to Noon. The show will be co-hosted by Buffalo Sport Page creators Kevin Sylvester and Paul Peck. The staff of contributors to the website will play a key role on the radio show, as regular guests and occasional guest hosts. The debut show will feature BSP’s Greg Gabriel, Joe Yerdon and Bob Gaughan as guests. The topics will include Bills training camp updates, Sabres offseason news and a college football preview. Fans can be a part of the show in a number of ways. They can call in and ask questions, or submit questions through Facebook and Twitter. Buffalo’s Very Own WECK can be found at 1230 AM & 102.9 FM. Buffalo Sports Page Radio will add a Sunday morning football show on September 10. It will run from 11am until 1pm. The Sunday show will feature regular guest Tyler Dunne of Bleacher Report.